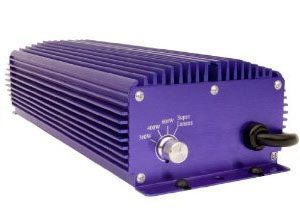 DIGITAL BALLAST LUMATEK 400W 600W & The all new ULTIMATE PRO 600W – 400V Kit!!! The Lumatek Range of E-Ballasts are extremely power efficient and is seen as one of the major advantages in comparison to Magnetic Ballasts. 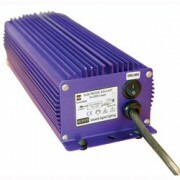 All Lumateks incorporate Soft Start technology and have very low start up currents (Amps). This is a huge advantage for growers using multiple ballasts and allows more to be turned on at one time off a single circuit or timer. New Ultimate Pro 600W-400W Light Kit 400Volt – See specifics on this exciting new light kit detailed below!!!! 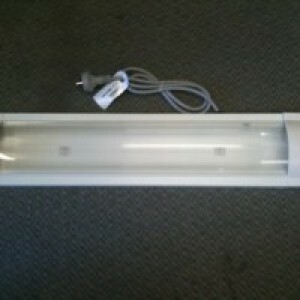 Categories: Lighting, Ballasts & Shades, Ballasts. Most timers have 10-15amp contacts and can usually only handle 2 x 600W magnetic ballasts (4.8amp each) at a time before the contacts go and you will find your timers don’t turn on or off, or you blow a circuit fuse. With the Lumatek 600W ballasts you can start up as many as 4x 600W E-Ballasts at a time (1.8Amp) off a single timer but will eventually work up to 2.5-2.75amp running current. Many happy growers are already reporting huge savings on their power bills. 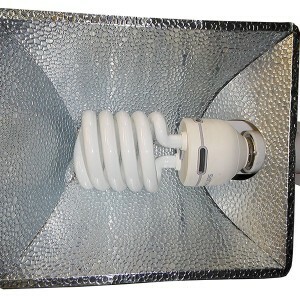 In addition to the many benefits, Lumatek has now released the new Super Lumen digital in both 400W and 600W units. This new added feature is a super lumen switch that when activated boosts lumen output by a further 10% while only marginally using more power. 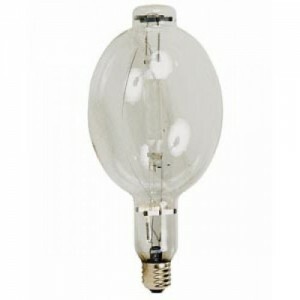 The super lumen switch is only recommended to be used with HPS lamps and should be in the off position when using M.H Globes. The extra light output is directly related to a 10% increase in plant yield, while still using a lot less power than old style magnetic. 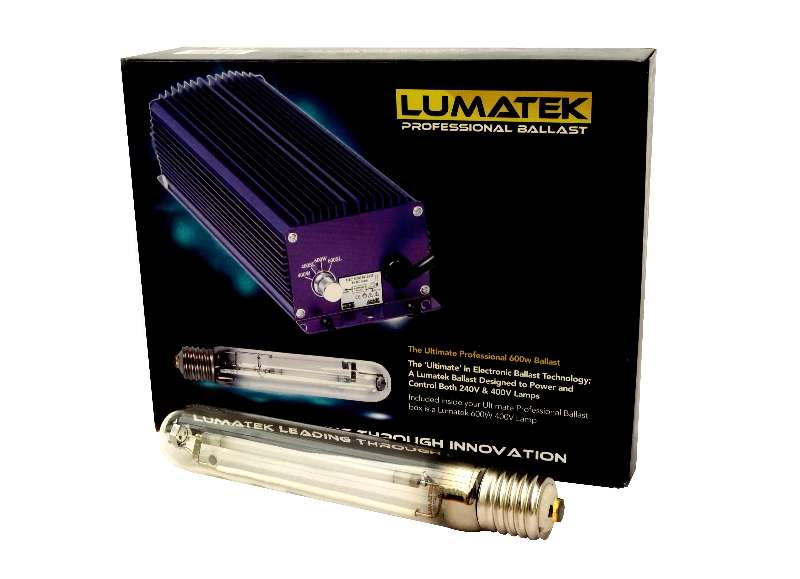 NEW PRODUCT INFO REGARDING THE LUMATEK ULTIMATE PRO 600W-400W – 400V BALLAST AND GLOBE ALL IN ONE KIT!!!! Simply replace the old with the latest and be bathed in the closest spectrum to sunlight ever achieved! 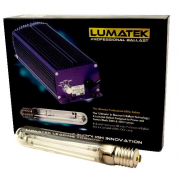 the lumatek ultimate pro 600 has been specifically designed to help the hobby-grower access the benefits of using electronics to control and power both 240v mh/hps and professional 400volt hps horticultural lamps. The lumatek ultimate pro automatically detects the lamp connected and then powers that light. a ge lucalox psl 400v /600w el is supplied with the ballast. 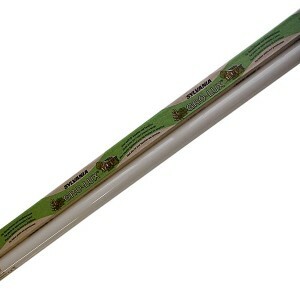 The 400v lamps are superior to the 240v lamps traditionally used in the hobby hydroponics and indoor garden markets due to their increased efficiency and greater par spectrum output. photosynthetic active radiation (par) refers to the part of the light spectrum that plants actually use to photosynthesize and make energy to grow. In summary 400v lighting produces more light (par) within the 400-700nm spectrum range which plants can actually uptake resulting in a guaranteed increase in yields. Where the red spectrum like traditional hps lamps is optimal for bulk photon intensity and heavy flower development, the blue spectrum also has many benefits for plant growth and resin production. Enhanced blues provide shorter internodes for more compact plants and larger connected flower formations that ooze with essential oil production that’s off the charts! More chlorophyll production, larger leaves with more petals ( organic solar panels )and way faster growth rates! Proven 400v commercial lighting technology – currently amping around the world in commercial operations.